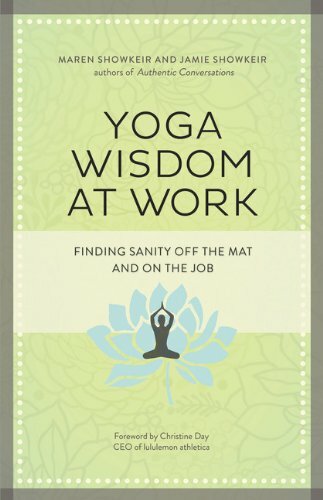 That said, I have been trying to figure out waysto give Yoga Wisdom at Work, the second book Jamie and I wrote together in 2013, the equivalent of literary CPR. In 2014, we were in the early, exciting stages of executing our marketing plan and incorporating the Yoga Wisdom book into our work together. Indeed, we were doing a book-related gig at a well-known health and wellness resort when a mild, two-mile hike left Jamie so physically consumed — so out of breath — that he had to get a ride back to the ranch. A few weeks later, a neurologist radically altered our course with a dreaded diagnosis: ALS. He’s been gone more than a year now, and our little lost waif of a book has been much on my mind. My brain has been bubbling with ideas about how to re-invigorate this work. More to come. In the meantime, as the holiday season approaches, another message from The Universe has appeared. Our publisher, the venerable Berrett-Koehler, is offering a 50 percent off sale until Dec. 8! As you compose your gift lists, I respectfully ask that you consider purchasing one or more copies of Yoga Wisdom at Work. Yoga Wisdom at Work is 50 percent off! What a great gift, and free shipping, too! If you’re reading this, you probably know about the book. Maybe you even have a copy and don’t need another. In that case, would you be willing to share this post with your friends who might be interested, either on social media or via email? And if you have read the book and haven't yet posted a review, that would be another gift I'd be thankful for. I have been, and continue to be, truly grateful for your support.